You are here: Home / Disney / Walt Disney World Resort / Epcot / Coral Reef Restaurant – Where Guests Dine with the Fishies! 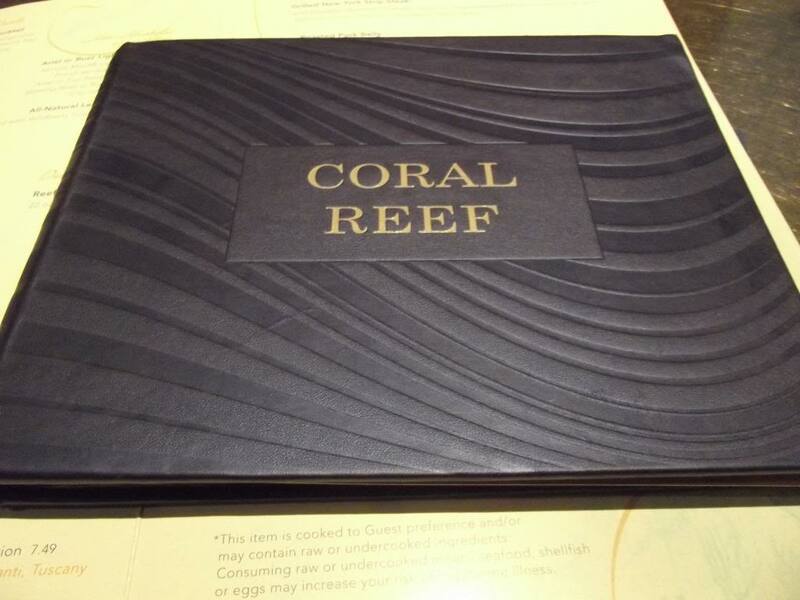 Coral Reef Restaurant – Where Guests Dine with the Fishies! The Coral Reef Restaurant is one of the most uniquely “themed” restaurants in all of Walt Disney World and one of our family’s favorites. 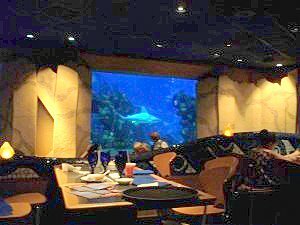 The tables at the restaurant are staged in tiers so that everyone has a fantastic view of the eight foot high windows which afford guests a look-see at the creatures that call The Seas with Nemo & Friends home. 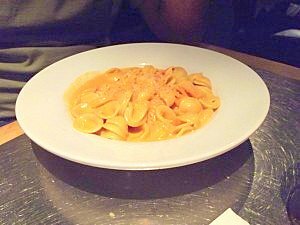 Though the lighting is somewhat dim, it’s not so dark that you can’t walk easily within the restaurant or see what you are eating. The subtle lighting effects make you feel as if you are under the sea too. Located just to the right of The Seas with Nemo & Friends, the Coral Reef is the only table service restaurant in Future World. 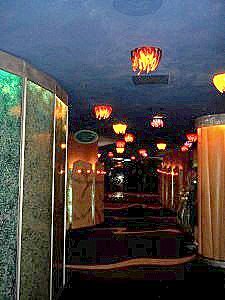 Immediately upon entering the restaurant, you will see that the touch of the Disney Imagineers’ expert hands were used to create the “coral reef/under the sea” effect. 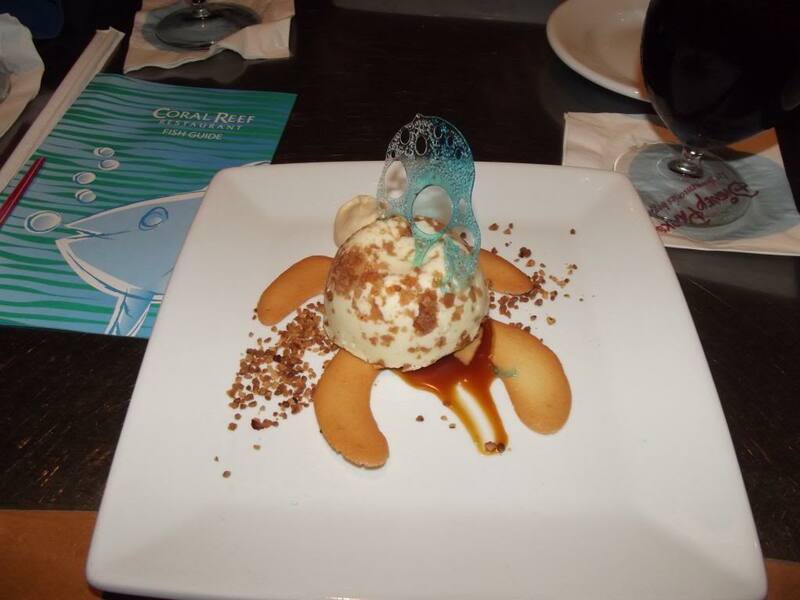 Our latest meal at the Coral Reef was during our May/June, 2014, trip to Walt Disney World which was a celebration of our son’s seventeenth birthday. Within minutes of being seated by the hostess, our waitress was there to wish Hunter a Happy Birthday, hand us our menus and take our drink orders. Because I like lists and notes and such, I had printed out the menus for each restaurant were going to dine in prior to our trip and we all knew what we were going to order ahead of time. It took nothing more than cursory glance at the menus to see that our choices were still being offered. The waitress came back in a jiffy with our drinks and a basket of warm rolls. The rolls are more of the crusty type rolls with not a lot of softness in the middle which is normally not the type of bread that we like. However, when paired with the butter sprinkled with sea salt served with the rolls, they are delicious. While we waited for the arrival of our food, our waitress was very attentive and made sure that our rolls and drinks were replenished. She also made a point to direct our attention to the fish guide that was on our table when we were seated. The guide had drawings and descriptions of the fish that we might possibly see throughout the course of our time at the restaurant. Thanks to the handy dandy fish guide, we were able to identify several of the fish that would have otherwise been referred to simply as “that great big fish” or “that shiny fish” had we not been given the guide. 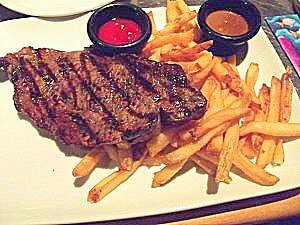 Hunter ordered the grilled New York strip steak and substituted a double order of fries as his side items. You’ll note that the sauce was not poured over the steak as mine had been. Hunter is not a fan of any type of sauce and had asked that the sauce be brought out in a cup rather than on the steak itself. 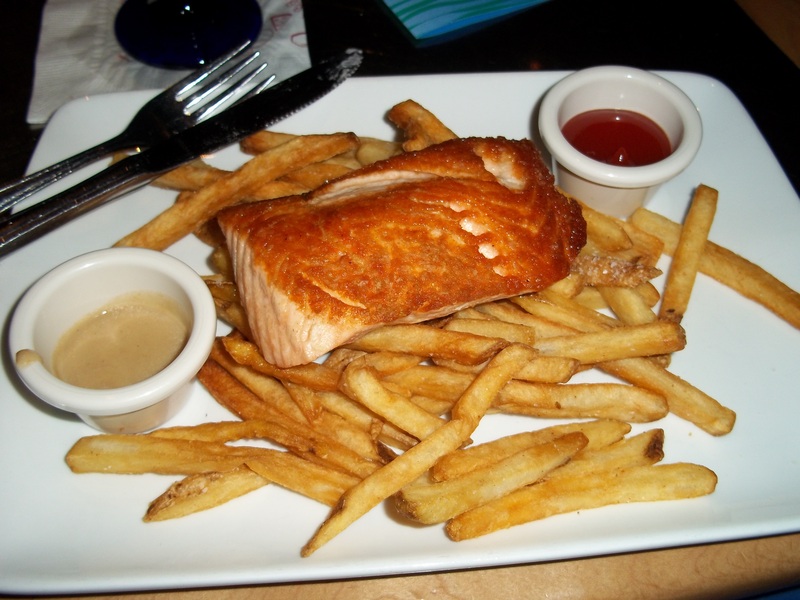 The substitution of the fries and the sauce on the side requests were not a problem at all. Every one of us oohed and ahhed over our entrees and our stomachs were oohing and ahhing as well as everything was scrumptuous. The steaks were cooked just like we ordered them, medium well, and the pasta and sauce was rich and creamy. The only small complaint that I had was that the asparagus ends were a little on the hard side but that wasn’t a big deal as the rest was cooked to perfection. 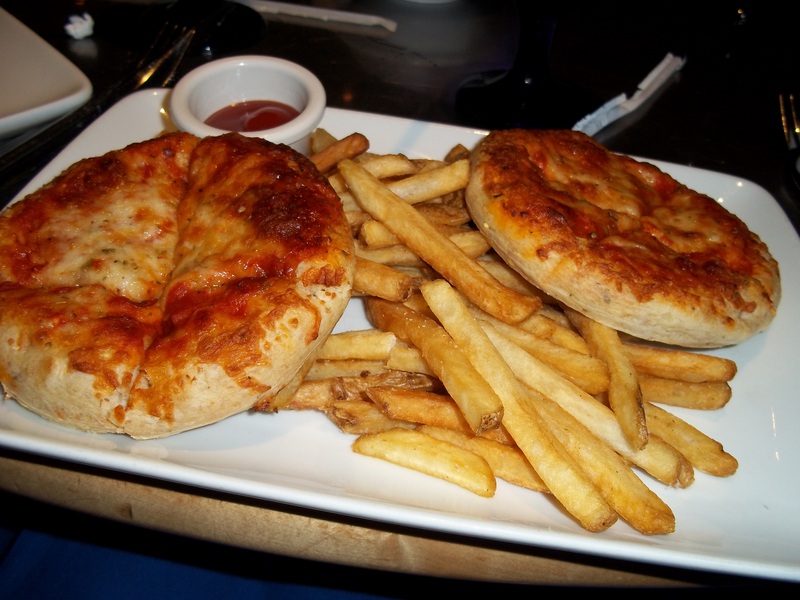 And, several years ago, even though my son was an adult on the dining plan, they were able to serve two kids’ size pizzas and fries instead of an adult entree. I know that this is something that they were able to do as recently as a year ago as I have friends who dined at the Coral Reef and were able to make this same substitution. 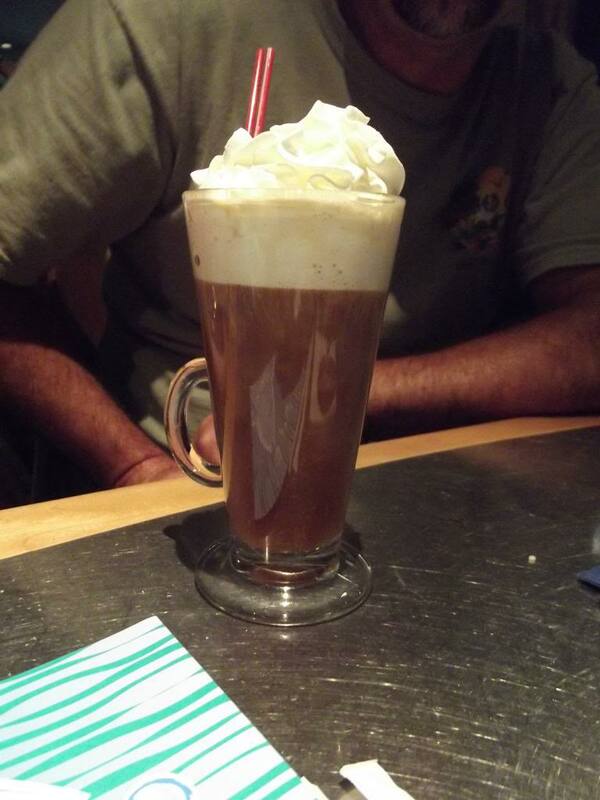 John ordered the Baileys and Jack Daniel’s Mousse. 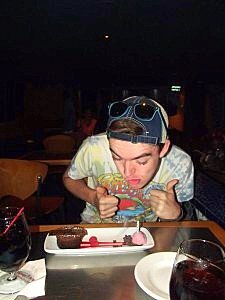 Be aware that this is a strong dessert which is heavy on the Baileys and Jack Daniel’s but not so much that it kept him from drinking almost all of it. My dessert was the turtle cheesecake which was so adorable that I hesitated to cut into it but cut into I did and, boy, was it delicious. As I mentioned above, our waitress was attentive and charming which made for a very pleasant dining experience. Once again, we walked away from the Coral Reef happy and content. 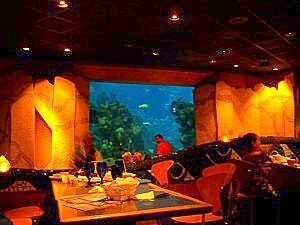 If you have ever wondered whether or not you should book an advance dining reservation at the Coral Reef, I say “go for it”! Not only will you enjoy the food but you’ll also be dining in one of the most unique settings at Walt Disney World. 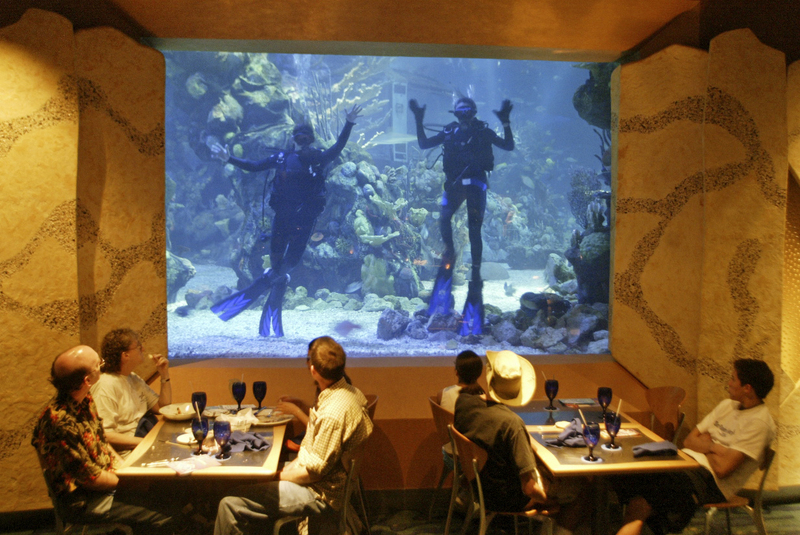 Plus, where else in “the world” can you say that you’ve dined with the fishies? Dinner at Via Napoli Ristorante – Oh So Delizioso! Meet the Princesses…Without Ever Waiting in Line! 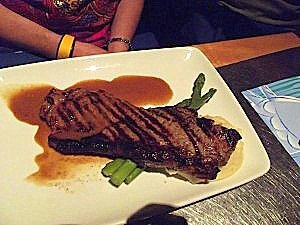 Canada’s Le Cellier Steakhouse – Disney’s Best Seller! Coral Reef is one of my favorites! The Creamy Lobster soup is out of this world and I’ve had both the Mahi Mahi dish and the trout dish and both were yummy. The Baileys and Jack Daniels Mousse is one of my favorite desserts at WDW. We’ve been to Coral Reef three times. I think lunch was better than dinner — service seemed to be quicker, that was for sure. It is a fun experience that everyone should try at least once. I’ll certainly have to give that place another shot when I’m there next time. Great write up on Coral Reef, Lisa! We have always loved Coral Reef. The food is consistently good, the atmosphere is so pleasant, and it is especially nice to walk into that air conditioning on a hot day in the park! I love the steak and the lobster soup is my favorite. And that chocolate wave dessert satisfies the chocolate lovers in my family very thoroughly! 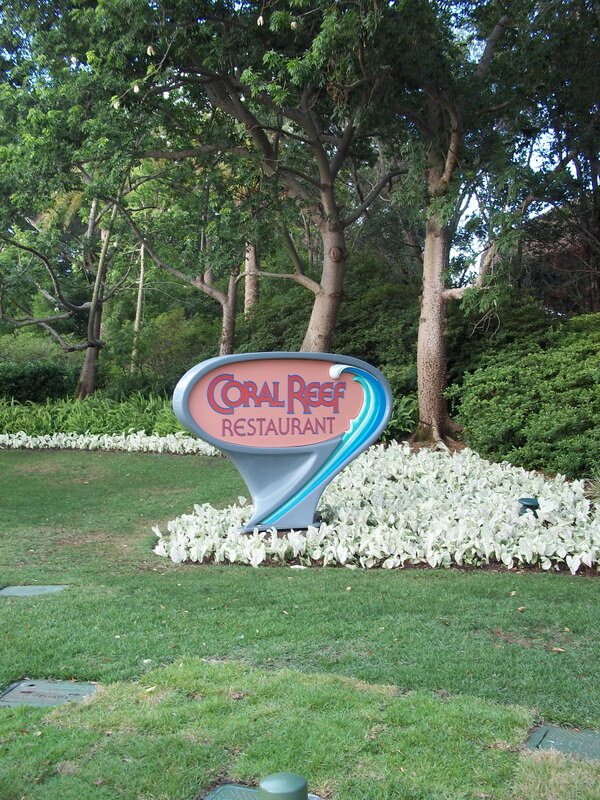 I have never had a desire to eat at Coral Reef…until no! That food looks amazing and it would be so fun to have dinner with an Under The Sea type of charm! The desserts look so whimsical and my meat loving daughter would HAPPILY devour those delicious looking steaks. Excellent article!